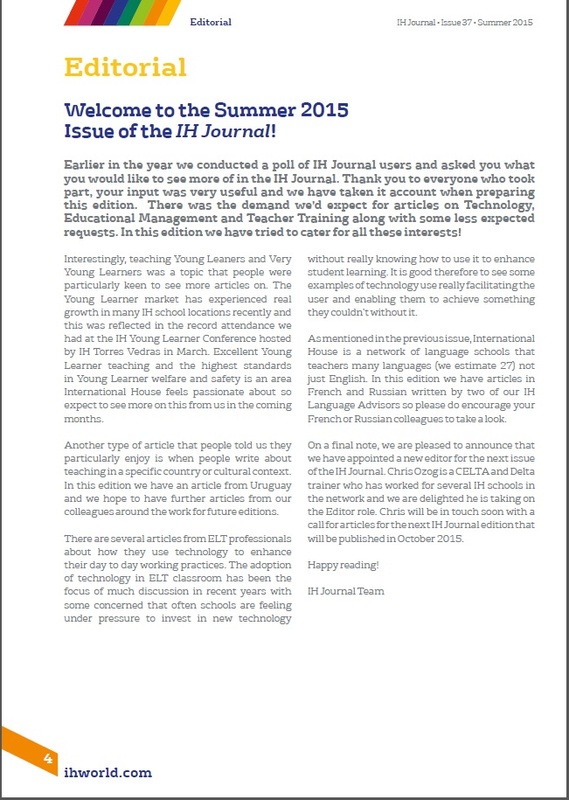 Welcome to the June 2015 issue of the IH Journal! 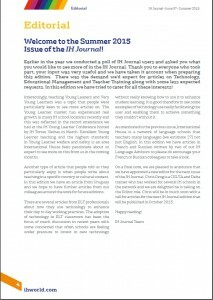 Earlier in the year we conducted a poll of IH Journal users and asked you what you would like to see more of in the IH Journal. Thank you to everyone who took part, your input was very useful and we have taken it account when preparing this edition. There was the demand we’d expect for articles on Technology, Educational Management and Teacher Training as well as some less expected requests. In this edition we have tried to cater for all these interests!